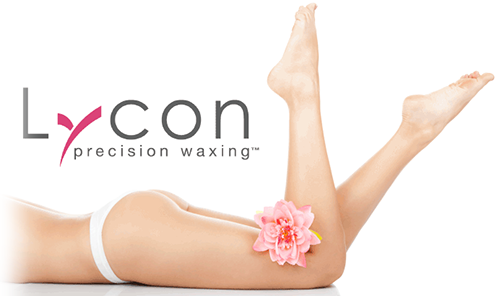 We use a variety of Lycon waxes in the salon. Hot waxes can target hair growth as short as 1mm and we use this for facial, underarm and bikini waxing. It is applied in a specialized technique and quickly removed. Larger areas like legs and arms we use Lycon strip wax cartridges which is applied quickly and thinly to the area with a paper strip to remove hair growth. We are professional trained in hot waxing for intimate areas and there is absolutely no need to feel embarrassed. When you come in you will be taken to the treatment room where you will be left to remove your underwear, freshen up with the wipes provided then simply lie on the treatment couch with a modesty towel and you are ready to go. All Scandinavian Skin Candy epilation pastes include xylitol! Due to a new, composition Scandinavian Skin Candy pastes epilation is easier and more comfortable than ever before! According to extensive research Xylitol has numerous health benefits. Xylitol is antibacterial, antiviral and antifungal fighting candida, yeast and other fungal infections. It is also alkalizing and therefore it helps maintaining body pH. Safety data on Xylitol health usage has been extensive. Initially discovered in the 1890’s, Xylitol wasn’t the subject of intensive study until the late 1960’s and early 1970’s. Since then Xylitol has remained a highly researched and studied ingredient. A recent area of study that has emerged from the attempt to discover the mechanism for its efficacy, Xylitol was noted for significantly reducing the ability of Strep. mutans bacteria to produce plaque biofilm. Subsequent studies have proven Xylitol’s usefulness in promoting wound-healing and interruption of bacterial colonies. By adding Xylitol to all Scandinavian Skin Candy treatment pastes the process of epilation is easier than ever before while there is less redness or irritation of skin than with traditional pastes. By adding Xylitol to all Scandinavian Skin Candy treatment pastes, the hair removal is easier than ever before, while there is less redness or irritation of skin than with traditional pastes. With added Xylitol the paste includes sugar alcohols, that make the paste also moisturising and antibacterial. Waxing products do adhere to living skin cells, making the procedure painful and skin irritated. This doesn’t happen with Skin Candies, since the paste is water soluble – it slides off from living skin cells, scrubbing the dead cells from the skin surface and making the skin easier to treat after the treatment. We practice permanent hair removal for the whole body with the latest and tested modern technology based on selected photo-thermolysis. Our cutting edge medical machine which combines a few different technologies such as laser or intense pulsed lights can reach the best result for even thin and very light colored hair or very dark skin. It is the best permanent hair removal method nowadays.